TCI delegates with TNB Janamanjung Managing Director, Datuk Shamsul Ahmad. 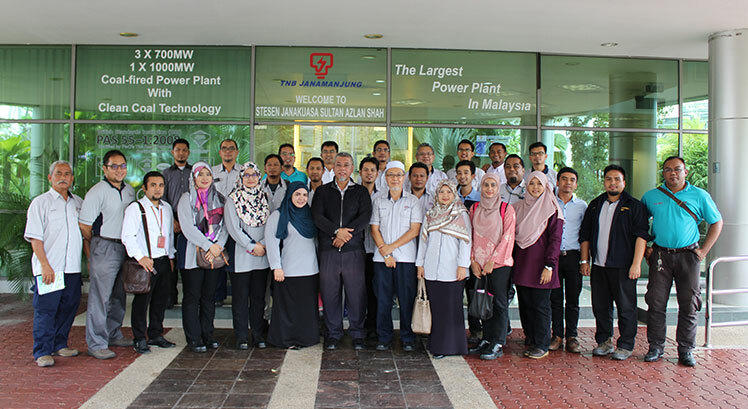 Seri Manjung – TCI had visited TNB Janamanjung on 22 February 2017. The purposes of visit were to benchmark in terms of systems in safety, health, environment and 5S practices as well as giving exposures on good work practices to all 39 visitors from TCI. During the event, there was also a handover ceremony of Work Completion Report Certificate for “Cable Laying of 185mm2 Copper 4 Core from Substation No. 1 to Feeder Pillar C to Highmast No. 2 TNB Janamanjung”. TNB Janamanjung’s Managing Director, YBhg. Datuk Shamsul Ahmad was delighted to spend the time with the visitors from TCI and shared the information about TNB Janamanjung’s operations and activities.